Yesterday I got welcome news. 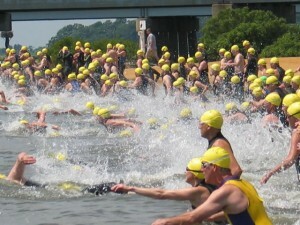 My entry into the lottery for the 2013 Chesapeake Bay Swim was drawn and I am now registered for the swim on Sunday June 9th. Some 1200 of us entered the lottery, and about 700 of us were drawn and allowed to register. This will be my fourth bay swim event. Review my experiences with the 2012 swim here. I ran across some pictures from previous swims. The upper one shows a typical start from the beach at Sandy Point State Park on the western side of the bay. Do not imagine that I'm one of the mass of bodies surging ahead in the water. I'm one of those in the back with arms folded, waiting for the crowd to thin out! The lower picture shows a typical finish from the small beach at Hemingway's Marina on the eastern side of the bay. In between this and the start is 4.4 miles of water and, for me, over two and a half hours of navigating and swimming. 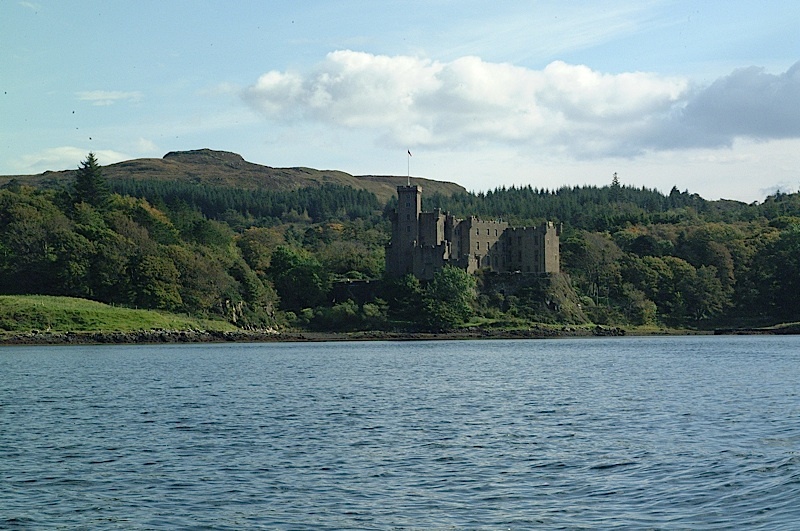 In open water swimming, navigation assumes an all-important role, especially given the shifting tides and currents you experience during this crossing. 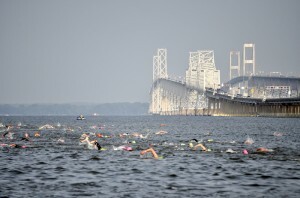 The start and finish beaches are both outside the Chesapeake Bay Bridge, although most of the swimming takes place inside the two great bridge spans. I am trying a somewhat different training strategy for this year's swim. Last year I started training in December for the June swim. I set a goal of swimming ten miles a week and pretty much kept with it. I typically set the clock for 4:50 a.m. and was in the water at 6:00. There was nothing wrong with this approach, but this year I am trying something different. This year I plan to swim less miles but to do more intensive speed workouts and dry land exercises. I am doing 100 meter sprints as fast as I can go, resting 60 seconds, and then going again. I am aiming to do a couple of miles worth of these a week, plus a variety of strength training for swimmers. I may only put in 7 miles or so of swimming a week, but I think this may work well. I'll know after June the 9th.